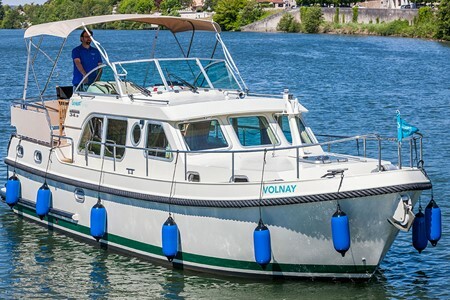 The Linssen Grand Strudy 34.9 is a comfortable boat which can be sailed without a license. It is perfect for 2 couples or for 1 couple with 2 children. Make a cruise and become the captain! - Speakers on flying bridge.